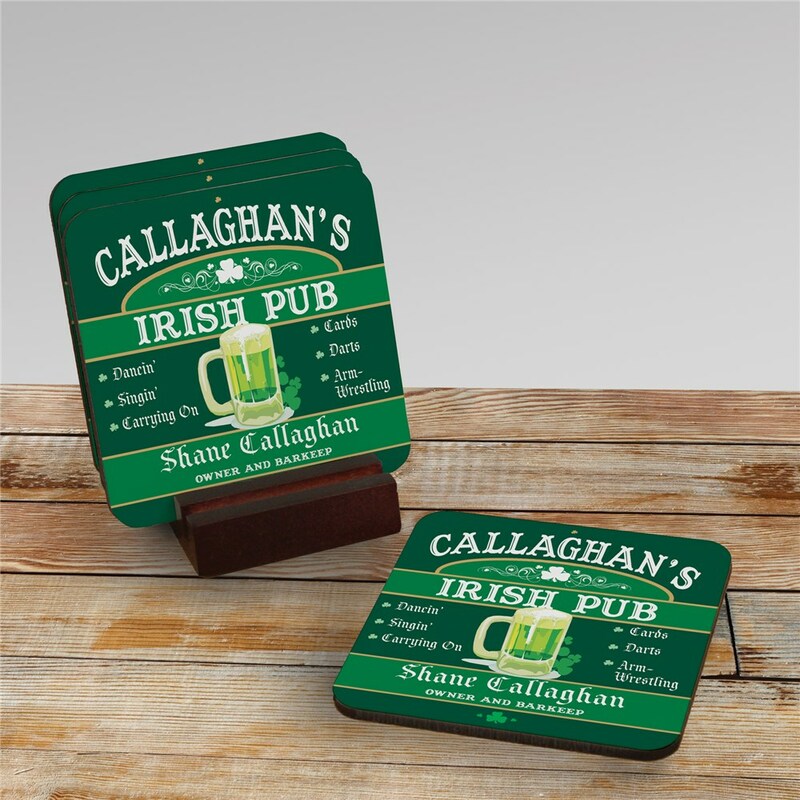 Pour the drinks, sing a song, toast good friends and be sure to place your drinks on these handsome Irish Pub Coasters personalized with any name. Great year round and especially on St. Patrick's Day! I love these coasters. They are colorful and humorous. Look through our great selection of Irish gifts to find the perfect personalized item for your favorite Irish family! For everything Irish & for all of your Personalized St. Patrick's Day gift needs, shop GiftsForYouNow!